To Reach by artist Hongsock Lee on the roof of the Vilcek Foundation in New York City. The piece was commissioned by the foundation in 2008. 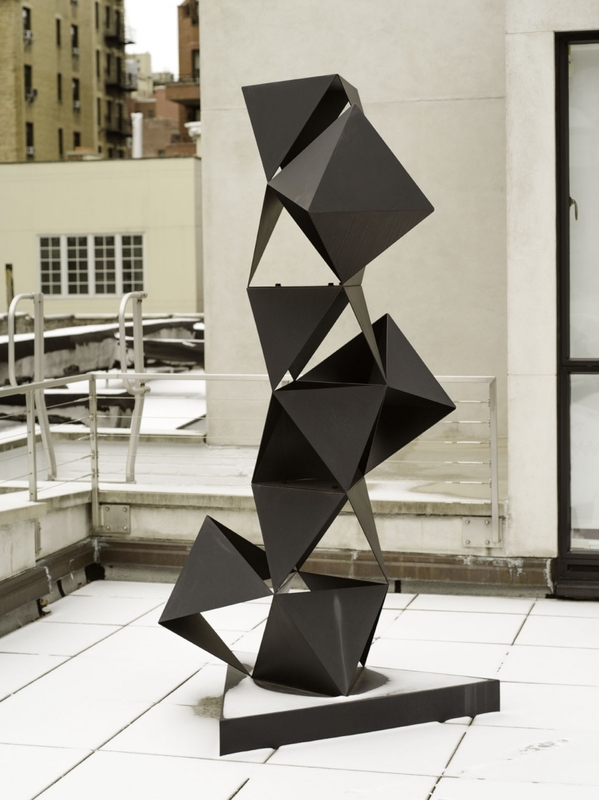 NEW YORK - South Korean-born sculptor and jewelry designer Hongsock Lee has designed a three-part sculpture for permanent installation on the rooftop terrace at the Vilcek Foundation’s new headquarters, 167 East 73rd Street. Lee traveled from his home in Providence, R.I., to place the pieces. The public unveiling will follow in November to coincide with an important Foundation program, “American Immigrant Filmmakers on Profile.” Awarding the commission to Mr. Lee is in keeping with the mission of the Foundation to heighten public awareness of the contributions of immigrants to the sciences, arts and culture in the United States.